"Breathes there the man with soul so dead, who never to himself hath said, Look at that fine, that noble head. 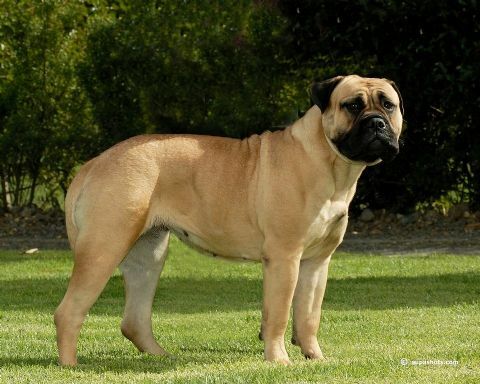 Bullmastiff. Need you a guard, an honest friend, one who will serve you to the end. With loyalty that naught can bend? Mark how that great, that noble hound, whose brow is knit in thoughts profound, is always in his habits, sound. A friend to you, he knows no fear, an honest fellow, conscience clear, a dog that you will hold most dear.